Home » Affordable Housing Or Affordable Home Ownership? Which Do You Prefer? The choices are interchangeable, but not synonymous. Say what? Let us try to explain the seeming contradiction. Affordable housing does not necessarily include owning a dwelling. As a result of the weakened economy, depressed worker incomes, and government spending programs, such as the Affordable Care Act, many younger lower income Americans are concerned that they may be relegated in continuing to be apartment renters, and not first-time homeowners. The conventional wisdom of pundits, economists, politicians and real estate professionals is that renting an apartment may well become the only true form of affordable housing within the next 10 years. We recently reviewed a study published by Harvard University’s Joint Center for Housing studies titled “America’s Rental Housing Markets and Needs.” This study advanced the conclusion that “renting has appeal for households of all ages.” The study also predicts that the percent of renters will increase exponentially over the next few years.That summation most likely mirrors the conclusion reached by many that renting an apartment is the last bastion of housing affordability. Based upon all these conclusions about affordability in housing, it would appear that manufactured homes are the best kept secret in America. The largest builder of homes in the world is a manufacturer that builds affordable manufactured homes, Clayton Homes. 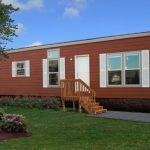 – The down payment required on a manufactured home is often equivalent to an apartment’s first and last prepaid monthly rental payment plus a security deposit. – Your monthly payment will be similar, maybe less. Your payment will be an investment and there are important tax benefits to manufactured home ownership, whereas your rental payment will return only a receipt. Your landlord will receive all the benefits of ownership. – Your rental payments will likely increase yearly. Your manufactured home loan payments will remain the same with a typical fixed payment financing program. – Your manufactured home will be built to your family’s needs, desires and requirements. With an apartment you will not have any those choices. Affordable apartments are usually small and generically designed. 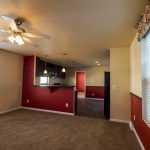 – Everything in your manufactured home will be new, including carpeting, fixtures, name brand appliances, including refrigerator, and energy efficient heating and cooling. Not subject to conditions of those who previously occupied the apartment space. – No shared common walls and no neighbors above or below to interfere with the quiet enjoyment of your home. – Outdoor space for grass or garden, and play areas for children. – You will have space for a garage or parking space adjoining your home, not an assigned space away from your entrance. – Apartment leases expire requiring relocation at the end of the lease. 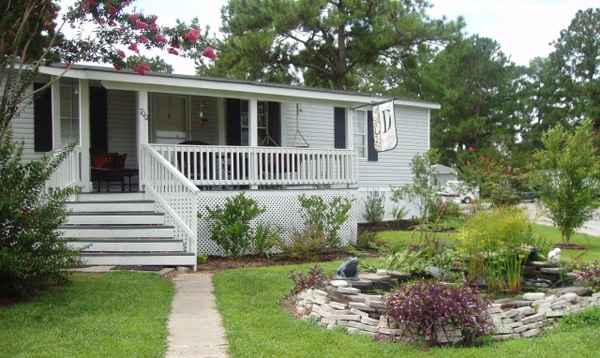 Owning a manufactured home offers permanence and creates family stability and pride of ownership. For the majority of us, owning a home is part of the American dream. According to a study by the National Association of Realtors (NAR), 87% of those polled cited owning a home as the number one criteria for defining “the good life.” Today’s modern new manufactured home is quality “affordable housing” and by definition “quality home ownership”. Hopefully you will take note of the differences.